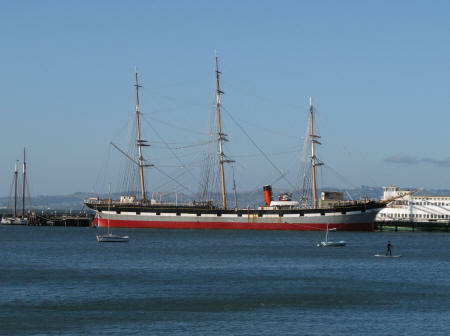 The Hyde Street Pier in San Francisco USA is home port to a number of historical ships, three of which are open to the public. The USS Balclutha (below) was launched in 1886 and used to transport wheat and coal between the United Kingdom and California. The ship was used in the motion picture "Mutiny on the Bounty". The Hyde Street Pier is located in the Fisherman's Wharf District of San Francisco USA.